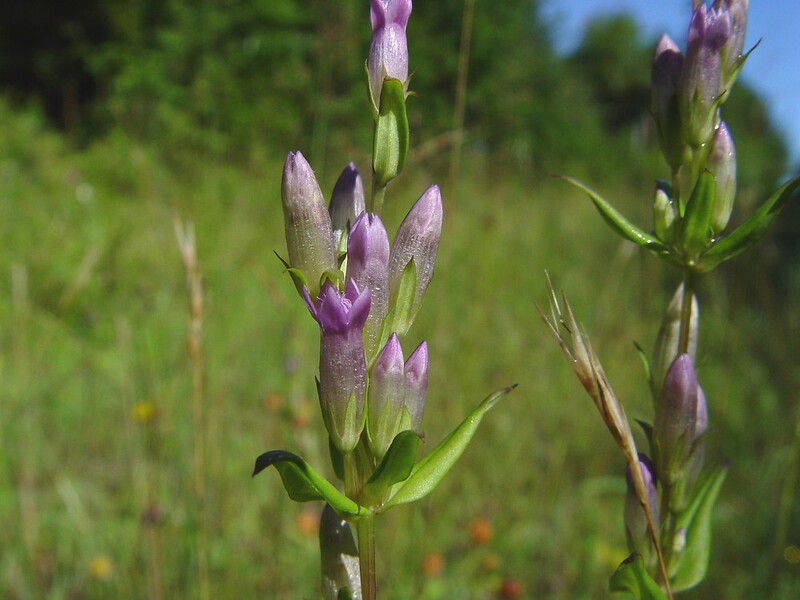 Northern dwarf-gentian has a circumboreal distribution and is found across northern and western North America. It nearly misses New England, where it is confined to areas of high-pH bedrock along rivers, streams and brooks in the northern portions of Maine and Vermont. corolla 15–23 mm long, without a fringe at the base of the lobes, and lobes of the corolla 4–7 mm long, acute to acuminate at the apex (vs. G. amarelle, with the corolla 10–15 mm long, with a fringe of hairs on the inside around the base of the lobes, and lobes of the corolla 3–5 mm long, obtuse to acute at the apex). 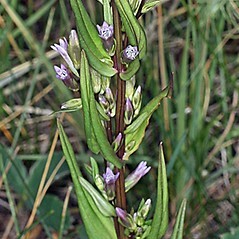 Gentiana amarella L. var. 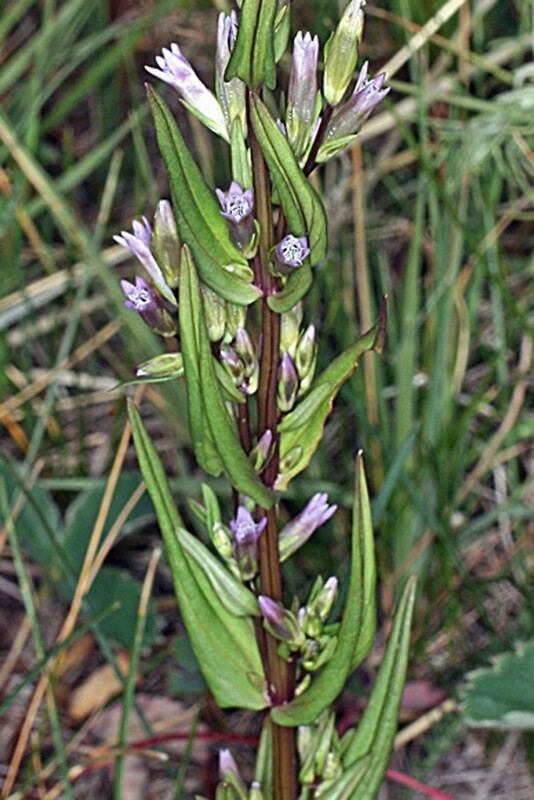 stricta (Griseb.) S. Wats. 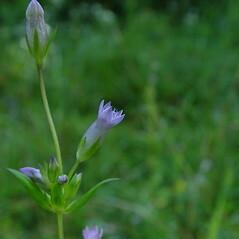 Our subspecies is Gentianella amarella (L.) Boerner ssp. acuta. 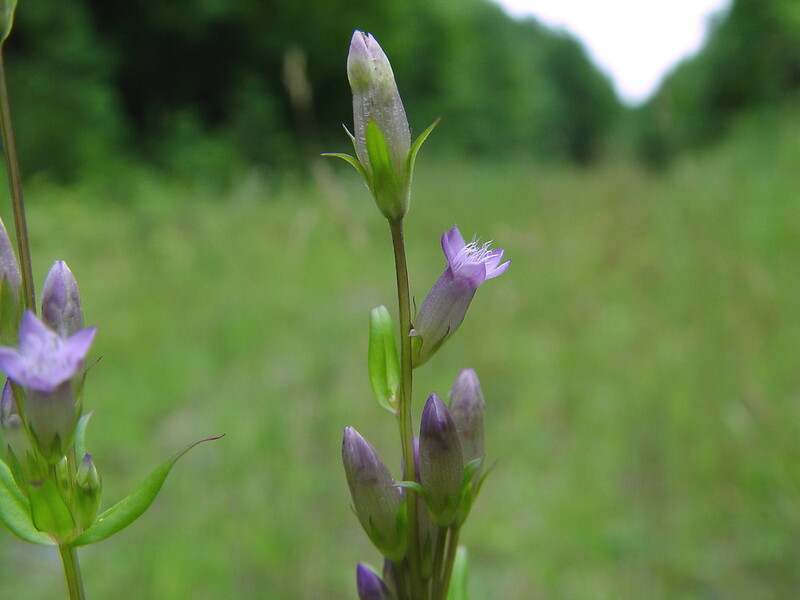 northern dwarf-gentian. 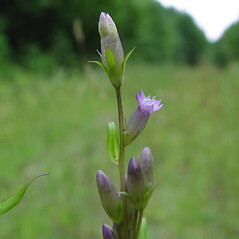 Amarella acuta (Michx.) Raf. 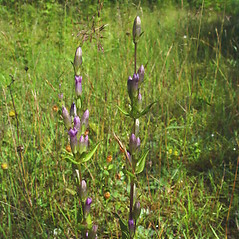 ; Gentiana acuta Michx. 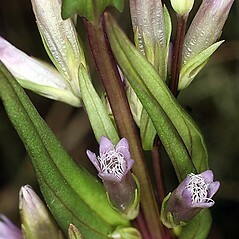 ; G. amarella L. ssp. acuta (Michx.) 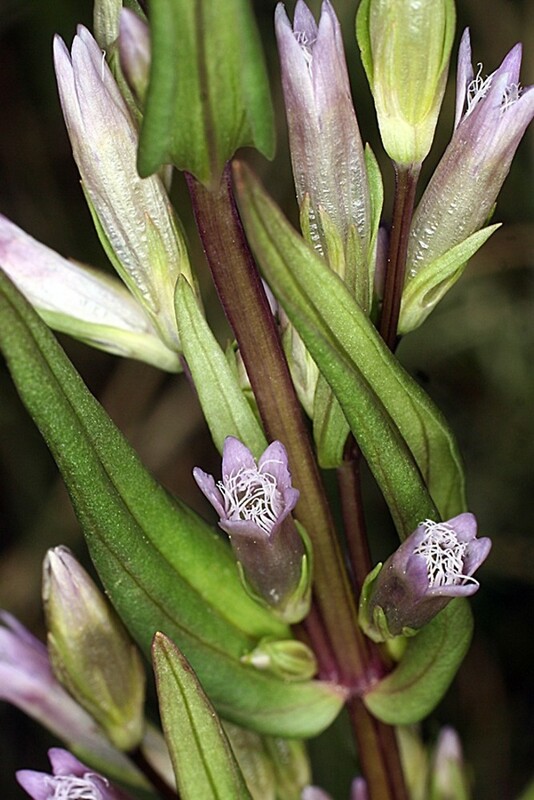 Hultén; G. amarella L. var. acuta (Michx.) Herder; G. amarella L. var. 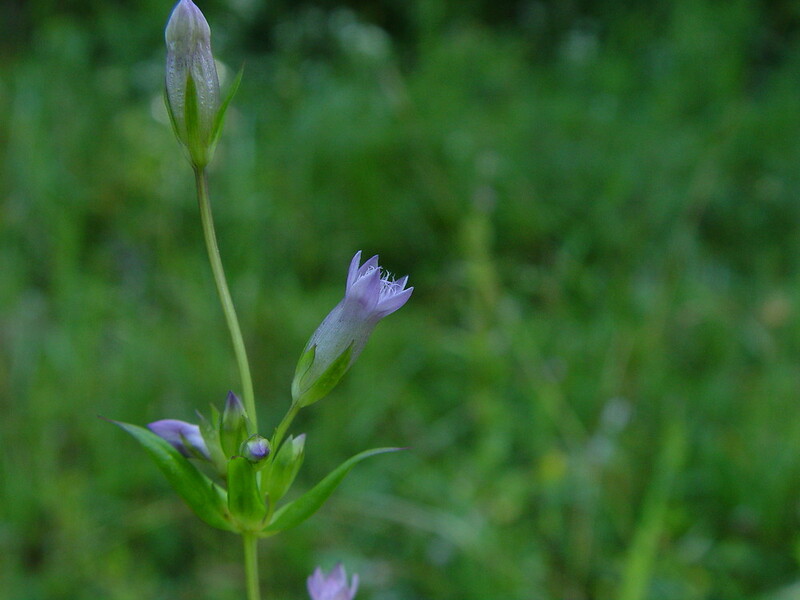 stricta (Griseb.) S. Wats. 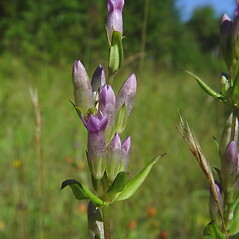 ; Gentianella acuta (Michx.) 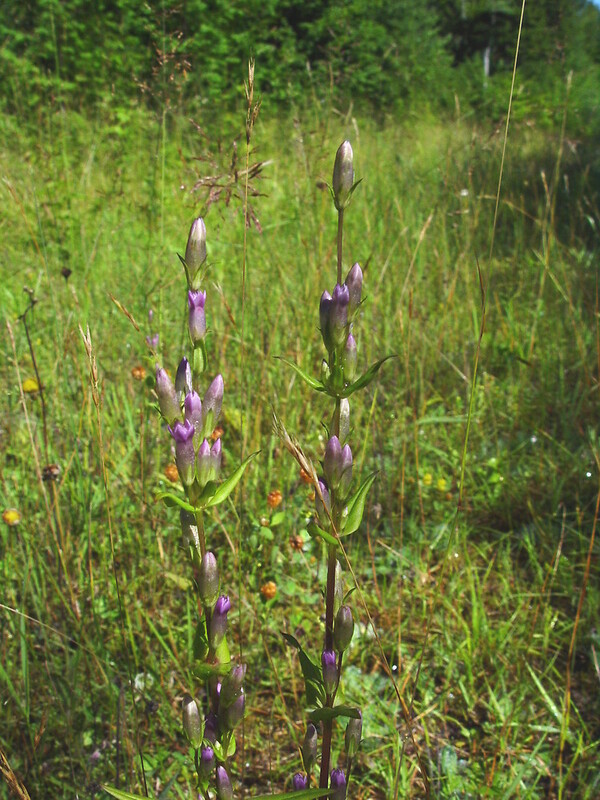 Hiitonen; G. amarella (L.) Boerner var. acuta (Michx.) Herder • ME, VT; northern portion of states. Open and forested river banks, subalpine gullies and brook sides, occurring in regions of high-pH bedrock and/or till.